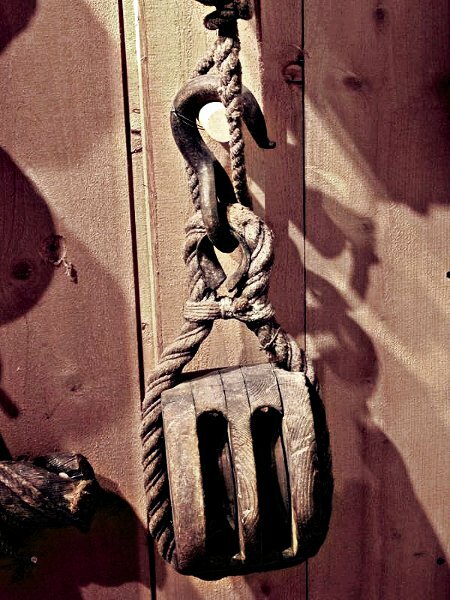 To be able to handle heavy weights, or tighten lines without winches, crew members had to pull together. 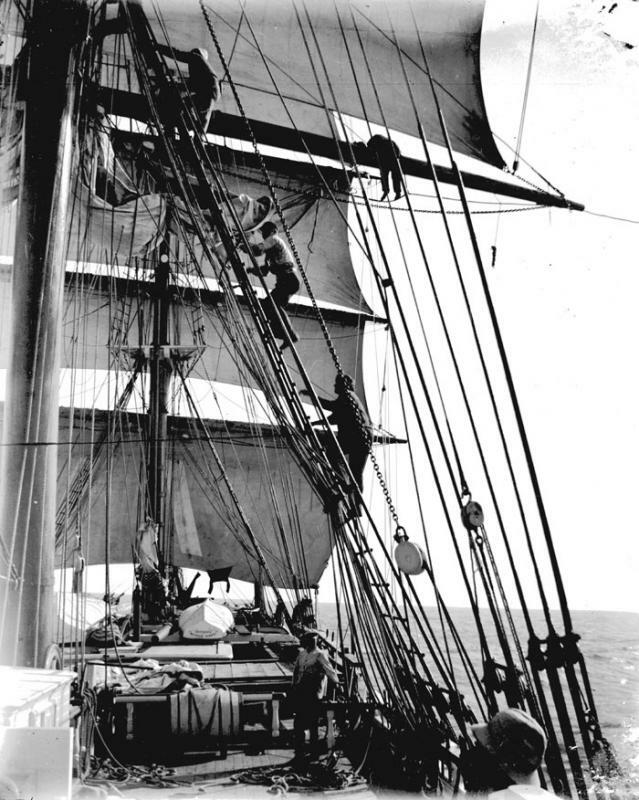 Raising and reefing or shortening sails, trimming or hauling in control lines (sheets) to reef a sail, or hauling in some other of the hundreds of lines aboard a large sailing ship were all done by hand. 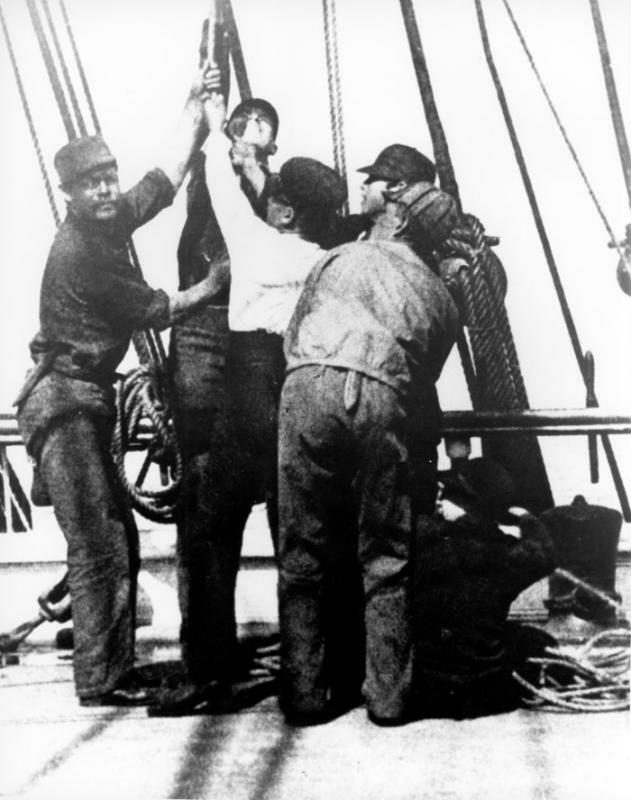 A shanty sometimes helped coordinate the pulling. 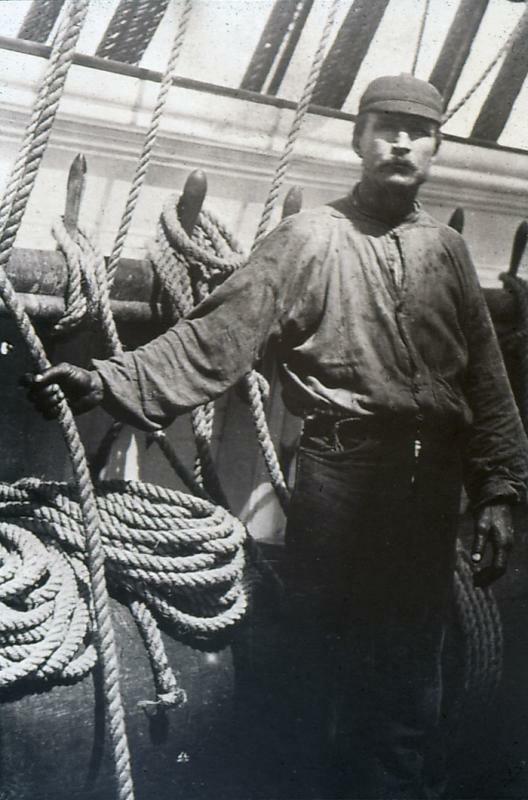 The bos'n or boatswain was in charge of maintenance of the rigging on shipboard. Sun and tar stain his hands. 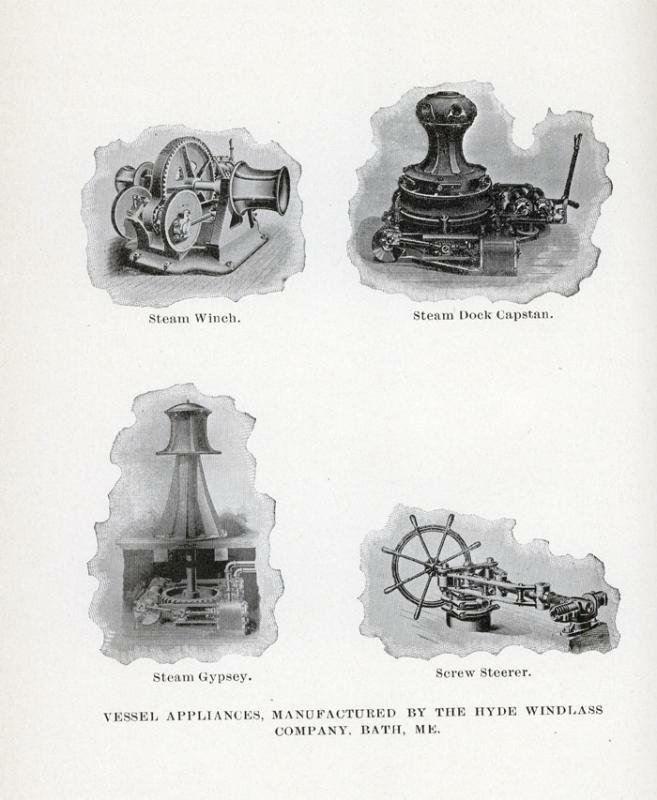 Clothing is nothing special; the look of loose wrinkled wool or cotton seems strange today. Sometimes the bos'n was also a third mate. 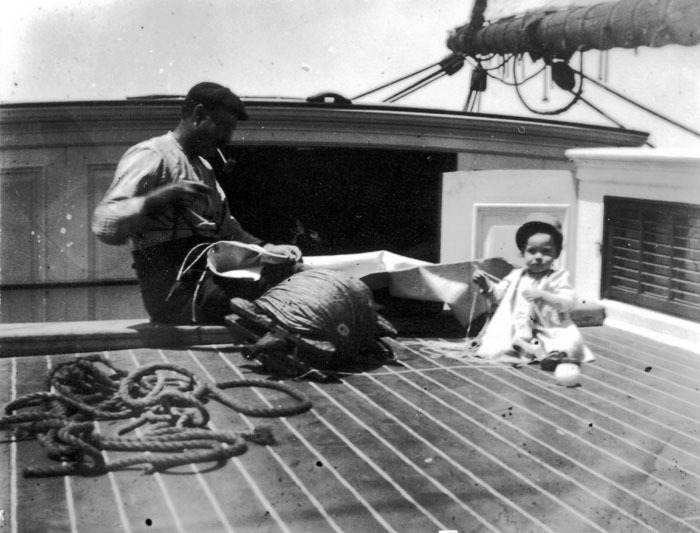 The steward was in charge of the captain's cabin and managing provisions. On a large ship, he oversaw the cook's work. If the captain's family was aboard, sometimes there was a stewardess, occasionally the wife of the steward. 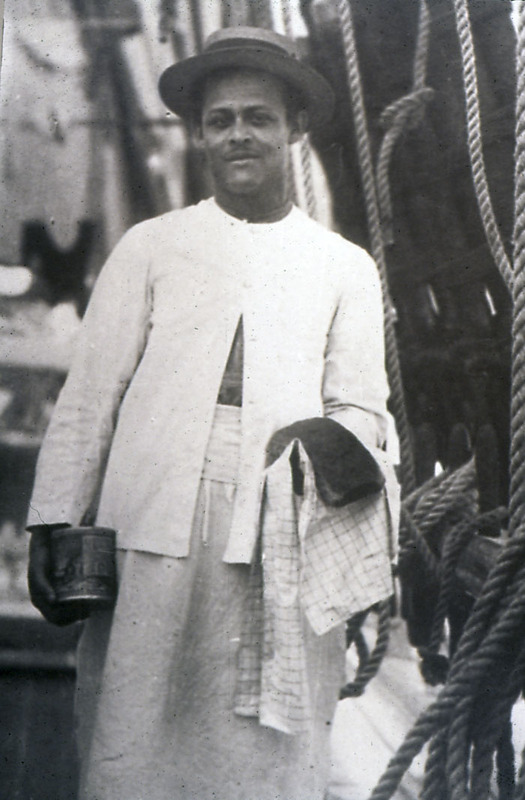 In the late nineteenth century, the steward was often from China or India. 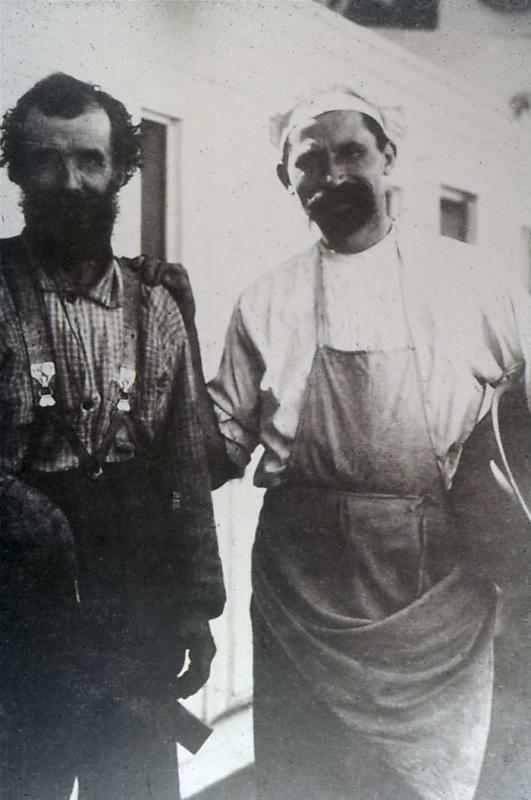 A carpenter and a cook aboard ship. The carpenter holds his plane, while the cook has on an apron and holds a pan. 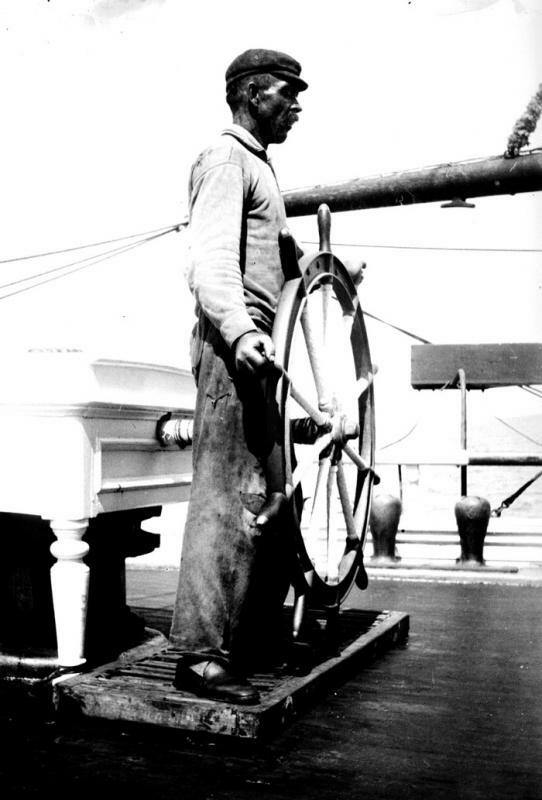 The carpenter on a larger ship did not stand watch but helped handle the ship when needed. The cook was paid more than most crew members, but had a very long day of work, from about 5 or 6 in the morning till around 8 in the evening, preparing food and hot coffee for the two watches of the crew in addition to the captain and any family and mates. The cook also helped out when needed in ship operations, though he did not stand a watch.